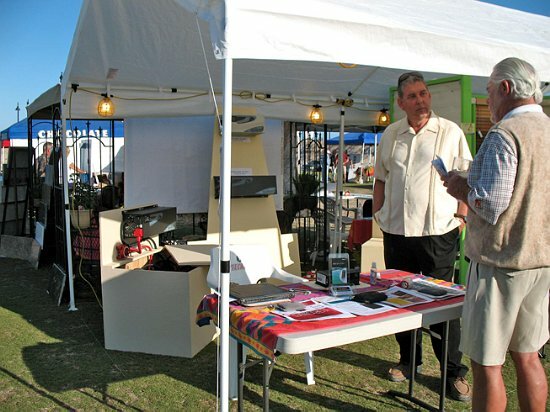 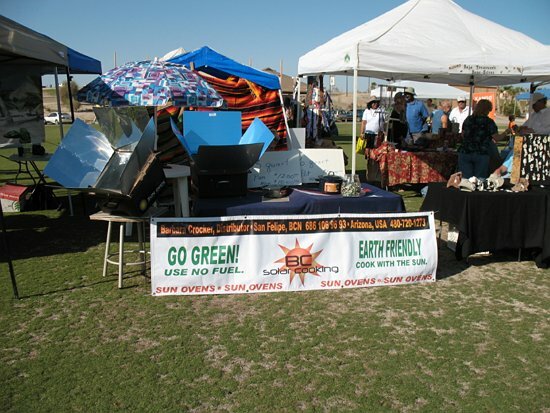 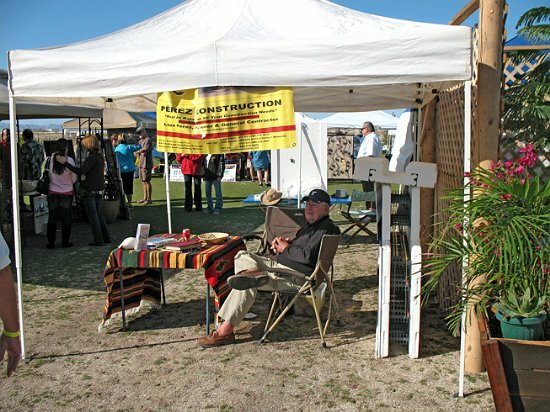 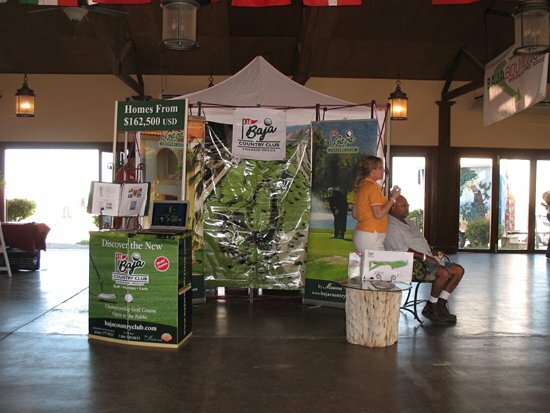 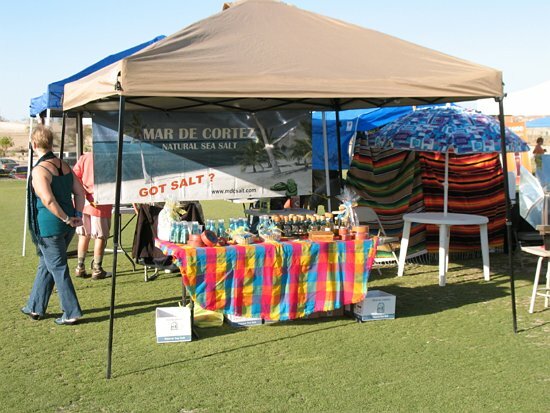 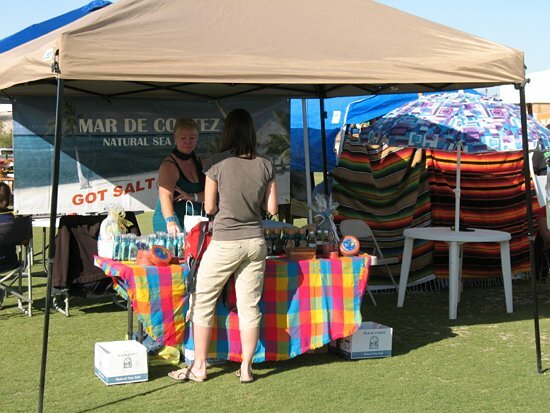 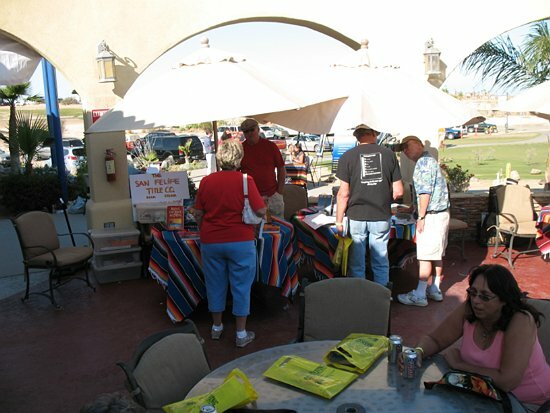 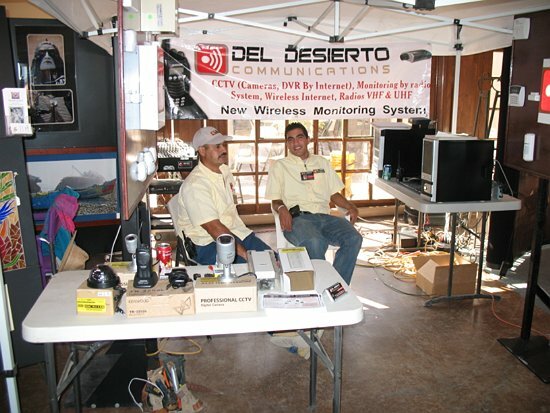 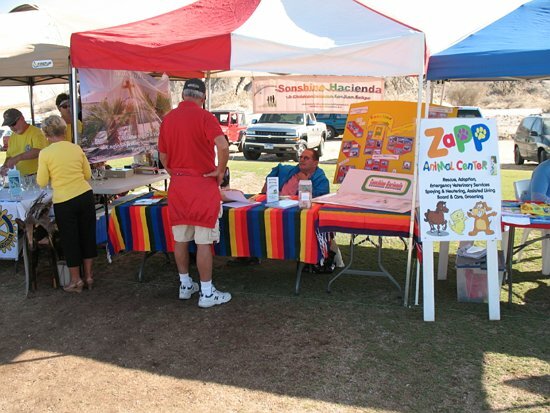 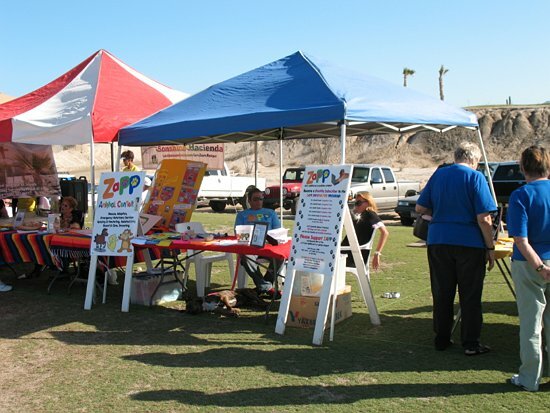 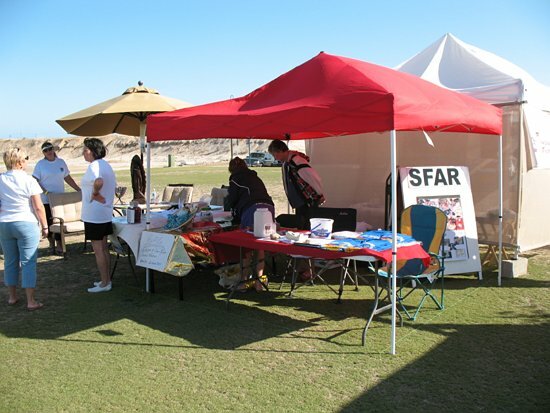 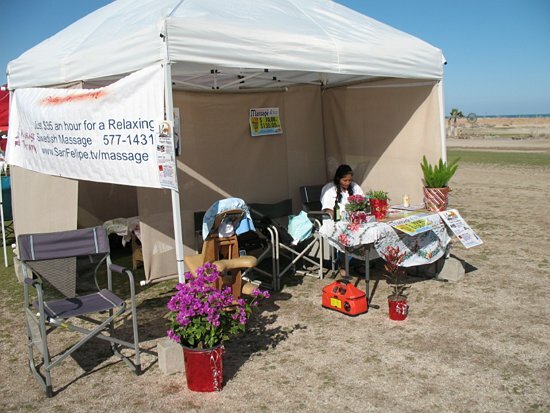 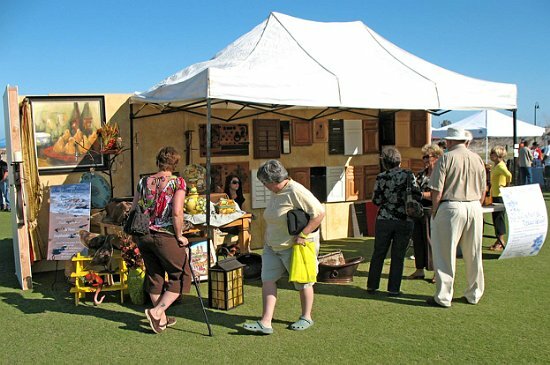 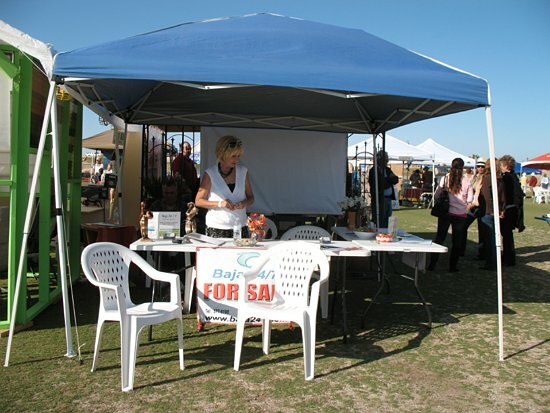 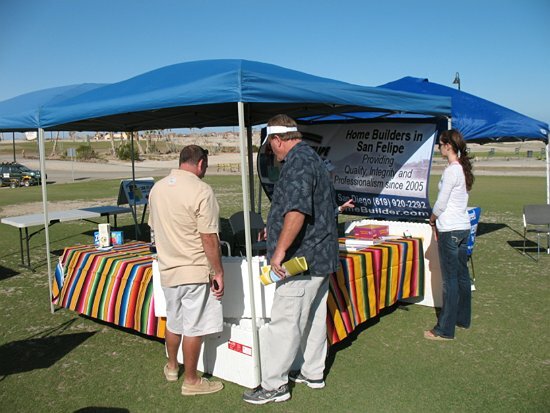 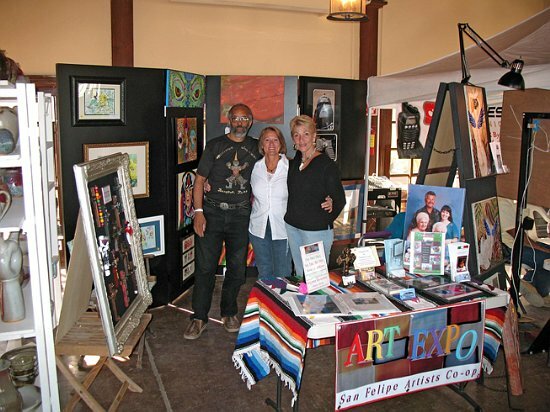 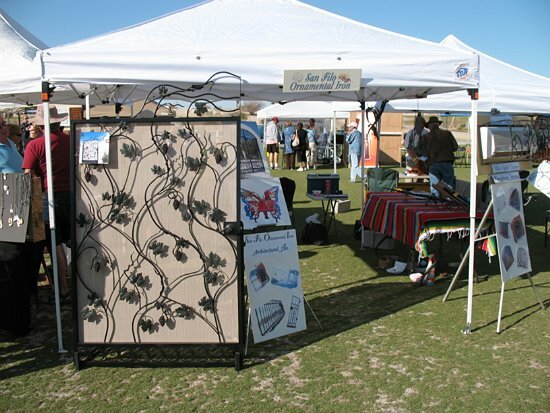 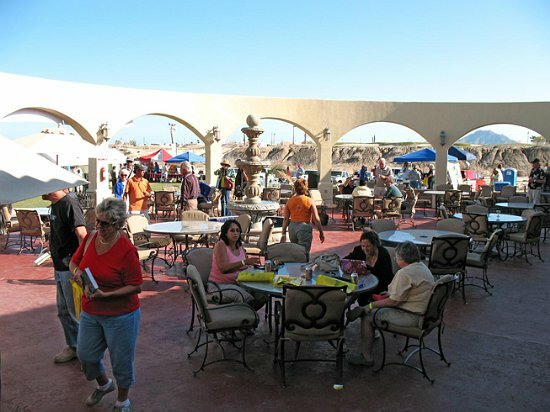 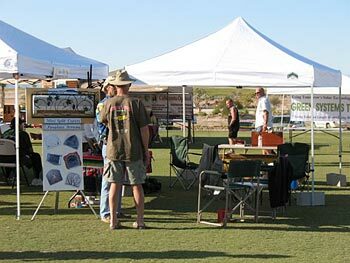 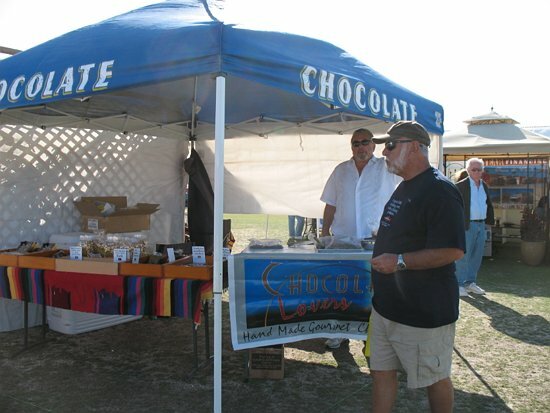 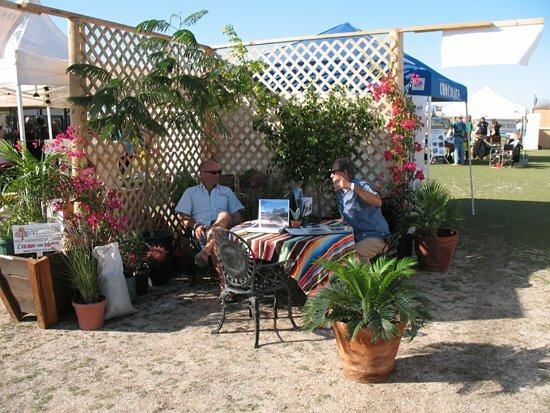 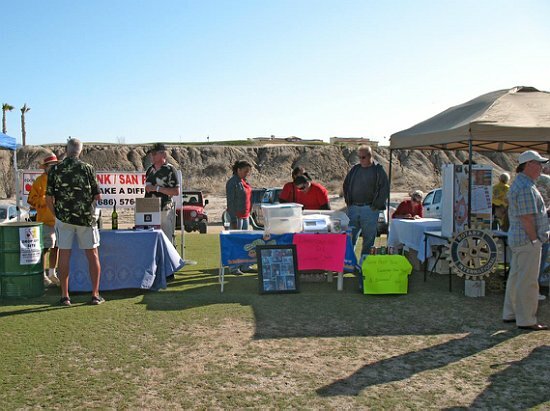 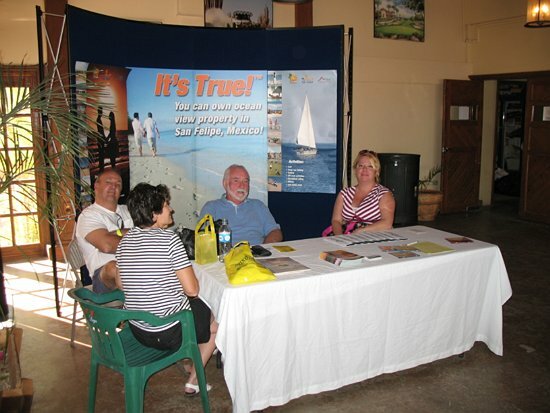 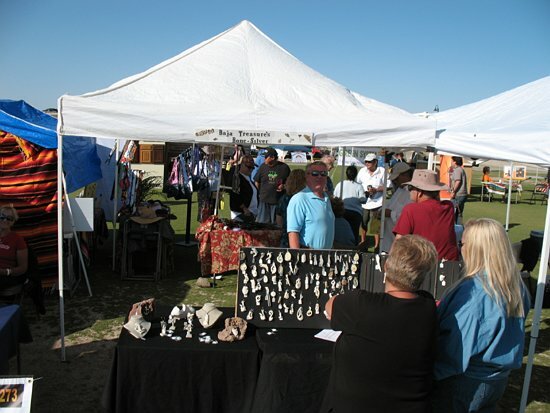 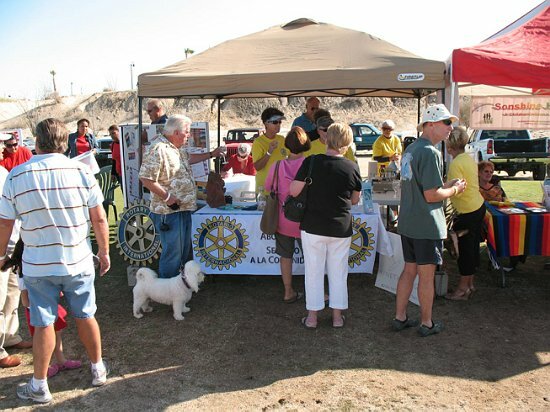 The San Felipe Home Show for 2009 was situated at an especially scenic location this year --the Pavilion at El Dorado Ranch's Las Caras de Mexico golf course. 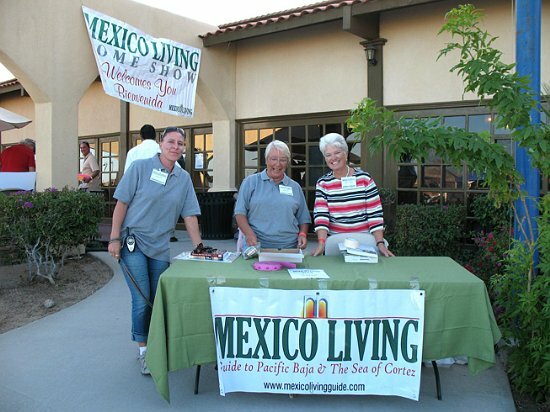 The guest speakers, who talked about the logistics of retiring to Mexico, buying property, building a home, starting a business, importing your possessions, remodeling, investing, leasing land, healthcare and other subjects crucial to beginning a new life south of the border, seemed to be well appreciated. 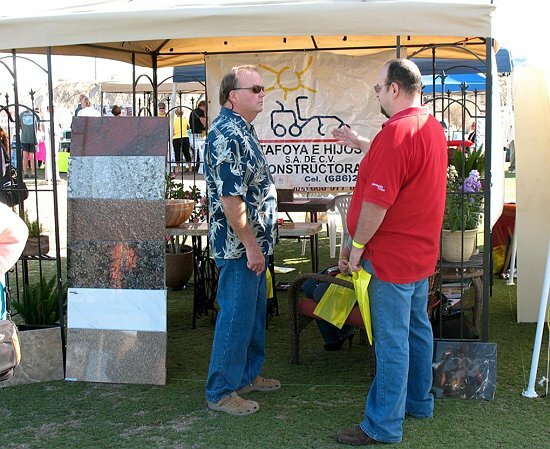 Exhibitors ranged from interior finishing options, cabinetry, ornamental iron works, solar battery solutions, a wireless water pump control, custom window shades, art works, pottery and ceramic creations, earth-friendly solar ovens, wireless security systems, even a selection of chocolates for your home's sweet tooth. 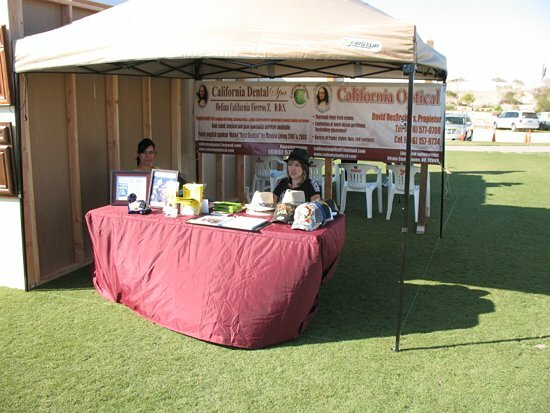 Construction companies and real estate developments were also well represented. 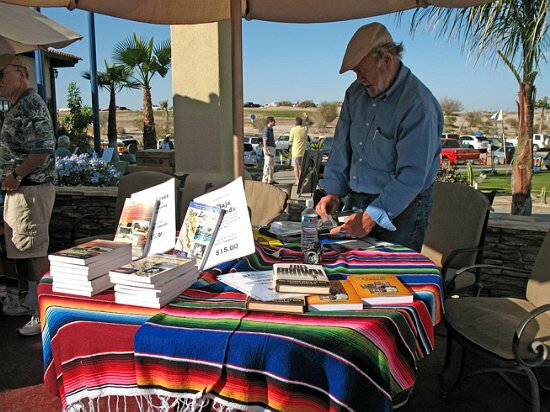 Ed Meders was there selling the NEW Baja Almanac (yes, it's finally out), along with Graham MacKintosh and Greg Niemann, both with copies of the numerous Baja books. 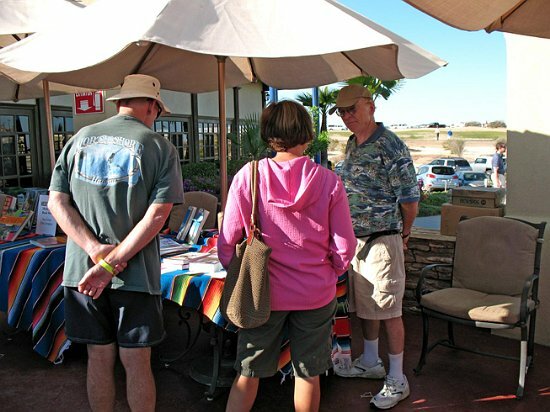 Food and beverage venues were on hand for the mid-day and late afternoon hunger pangs. 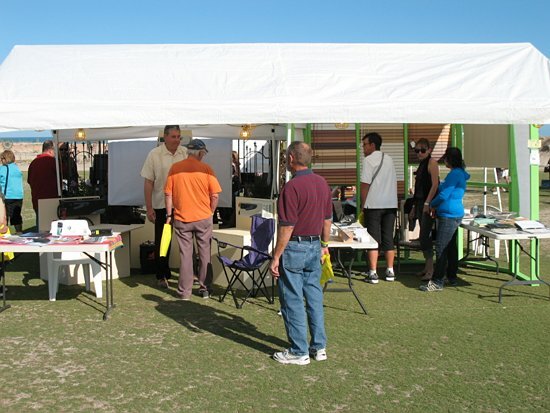 The turnout wasn't overwhelming but there was a steady trickle of people showing interest in the various kiosks and tents. 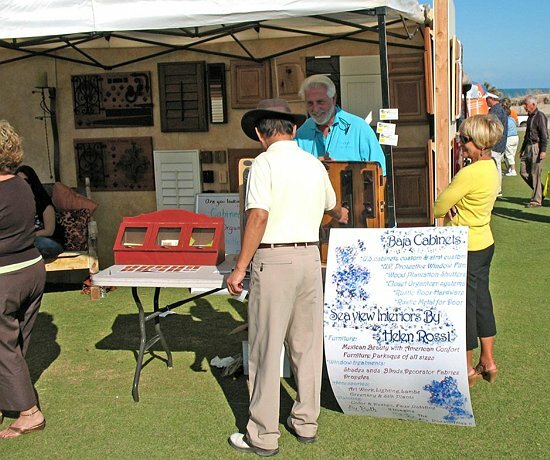 By late afternoon fatgue got the better of some of the exhibitors and they called it a day. 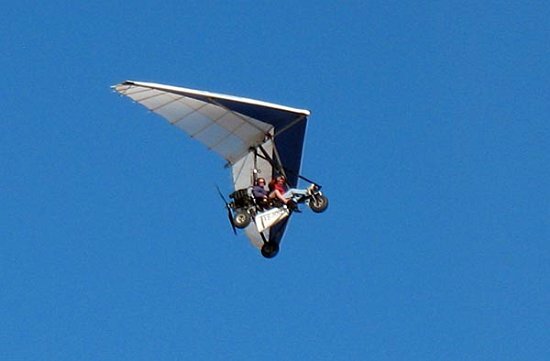 The local ultra-light pilot made the Home Show part of his tour and flew overhead several times with his passengers. 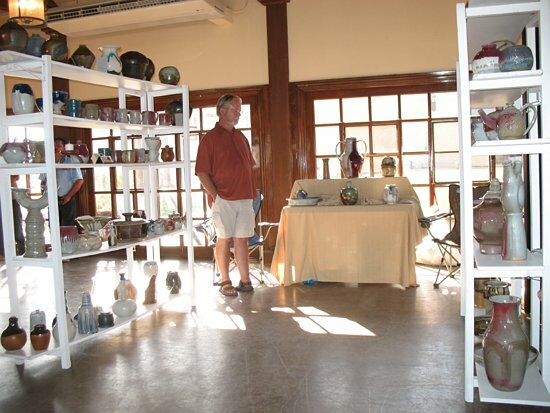 On the whole, the show appeared to be a success. 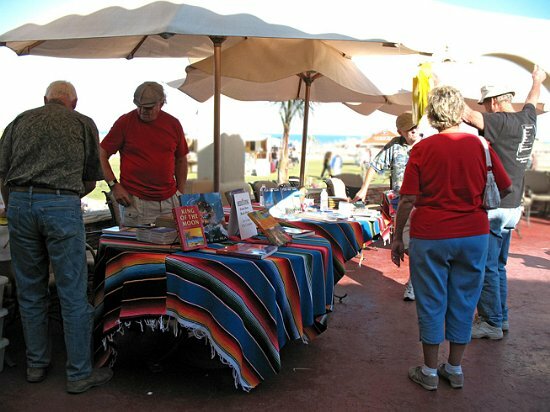 It fell on a day when there were several other events happening, including Baja Java's Wine Tasting and Opera, and the Turkey Trot Poker Walk. 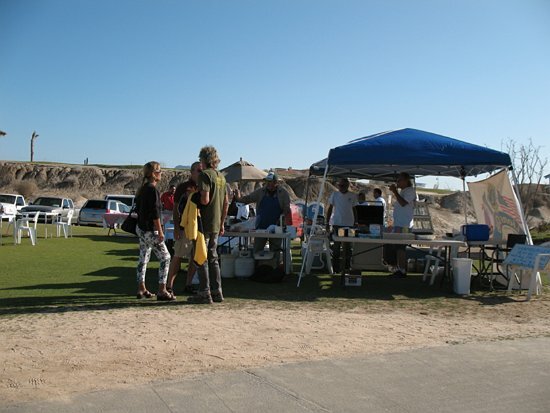 Later in the early evening, there was a Rodeo at the baseball diamond in town. 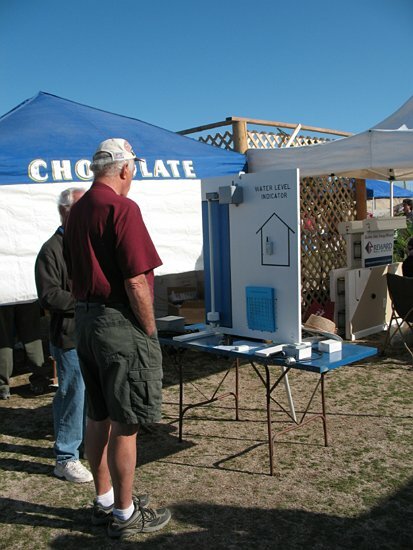 Possibly the Home Show would have had a larger audience if the locals didn't have to choose between so many events. 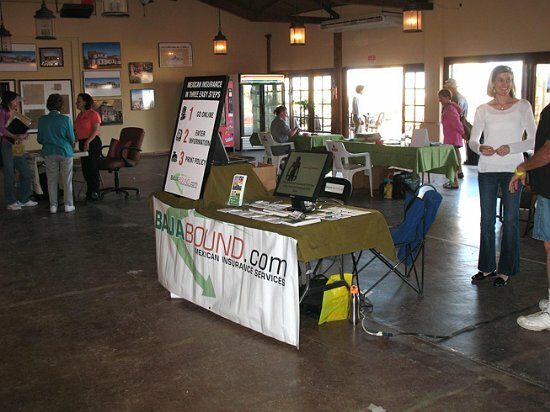 Click on the first thumbnail to begin the slide show.